Submitted by Don Mac Donald 2 on Mon, 2019-04-08 11:41. 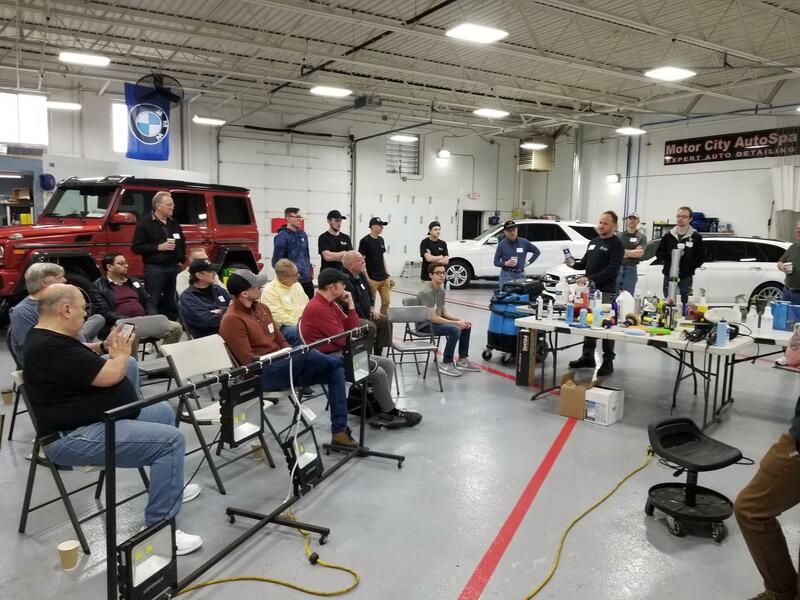 On March 31st, International Stars section held their spring technical event at Motor City Auto Spa in North Royal Oak, Mi. The team at Motor City Auto Spa went over the new products that are available to detail our Mercedes Vehicles and then showed the members how to do interior and exterior deep cleaning, Paint correction, Paint protection and demonstrated how to apply the latest Expel paint protection film. They also went over the benefits of using ceramic coatings and showed how they perform over time.